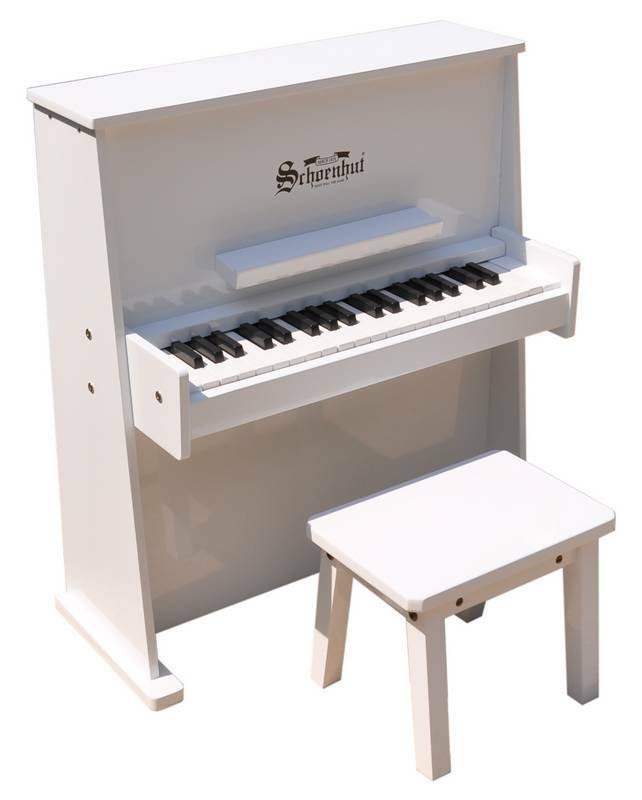 Schoenhut's� sturdy 37-key piano was designed with the Day Care industry in mind, but is perfect for the home too. 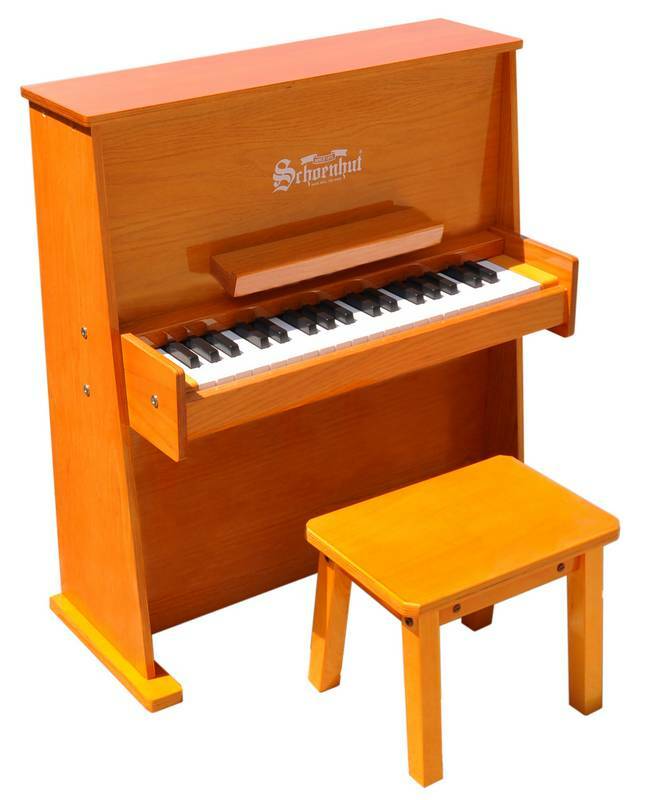 Built of solid maple and one-half inch birch plywood, it is crafted entirely by hand and built to endure active play. 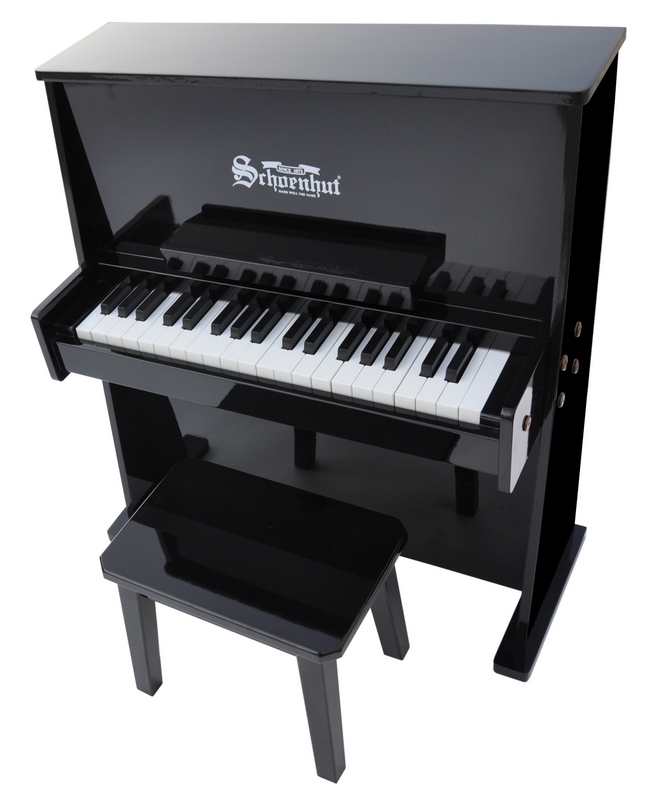 With a keyboard almost half the size of that on an adult piano, the three-octave span allows plenty of room for playing with both hands. 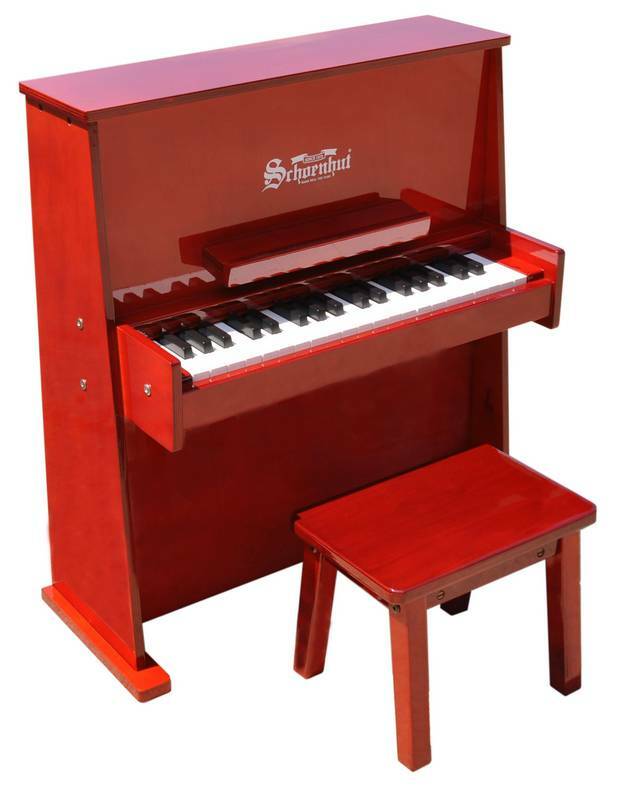 Chromatically tuned, the lovely chime-like notes are produced by little hammers striking precision-ground, German steel music rods (versus the conventional taut wires used in full-sized models). 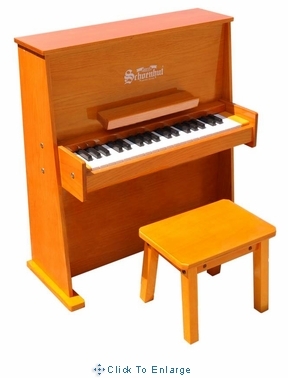 Piano Dimensions: 26-7/8" high x 24-7/8" wide x 10" deep Matching Bench: 9" high x 14" wide x 6" deep Weight 45 lbs.